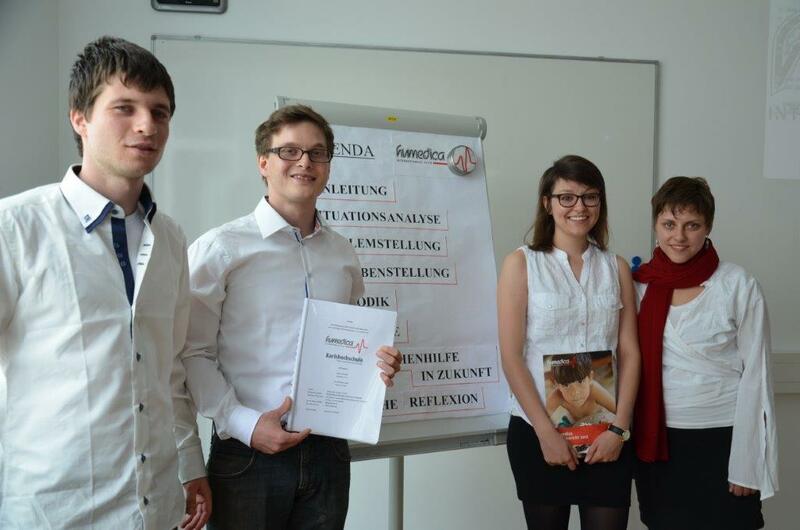 Real projects for real companies: for students of Karlshochschule a natural part of their studies. 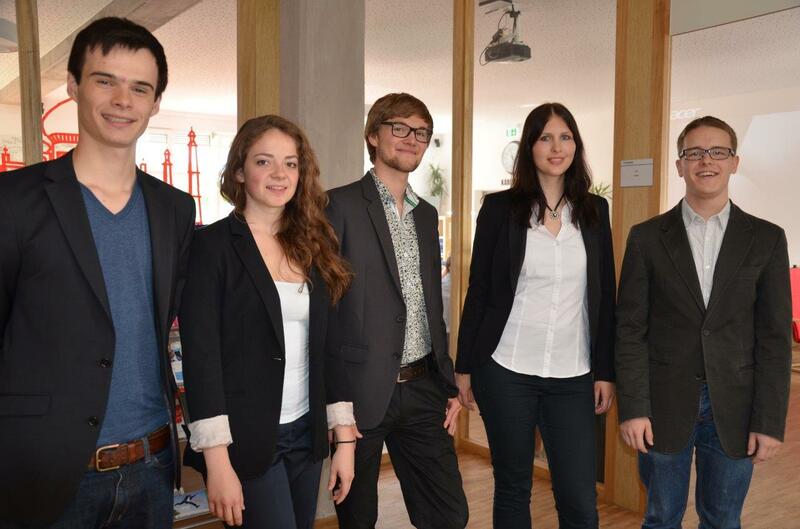 In the summer semester of 2014 students once again worked on a wide variety of projects for all kinds of companies. Regardless if the project focused on humanitarian aid, festivals or finances – all students worked hard on their company projects. Earthquakes, floods, starvation: Humedica e.V. tries to provide relief when disaster strikes. The organization works with christian and other relief NGOs, at times even with local communities and hospitals to make sure humanitarian aid arrives to where it is needed and is distributed fairly, unhindered by corruption. Life saving drugs, food and other donations are hard to come by, and sponsors are hard to find and much sought for. At the same time, the demand for aid will never be fulfilled. 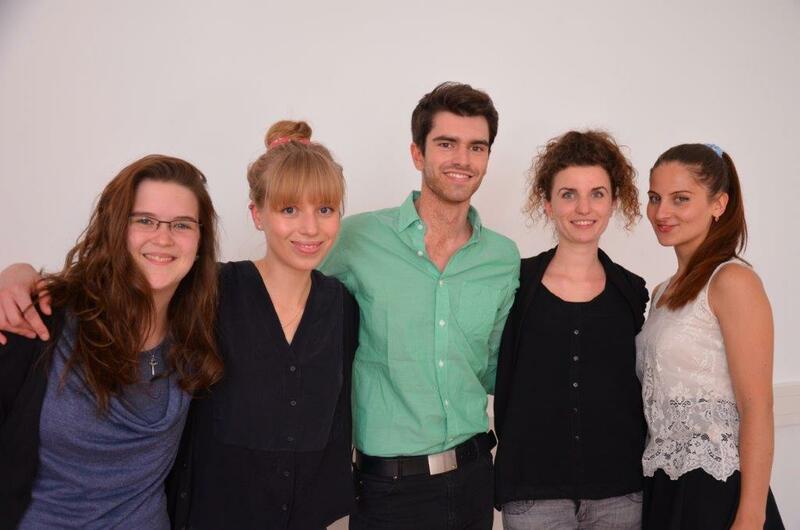 For that reason Johannes Peter, Caroline-Sophie Pilling, Tessa Brielmayer and Maximilian Fröhlich developed a communication concept for Humedica e.V. The team approached the organization without help from Karlshochschule and developed a strategy for the acquisition of sponsors, communication and long-term co-operation with pharmaceutical- and civil and urban development companies. A stall, a bus, a café – together, they make up the KarlsCafé. 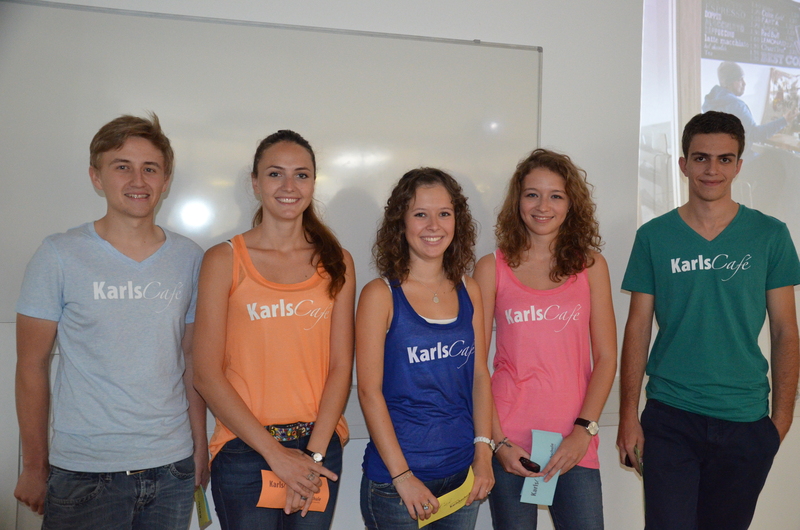 Founded by students of Karlshochschule, Karlscafé is a fairly new venture but very ambitious. The idea: bring coffee to potential students, and the students to Karlshochschule. While the team supplies lecturers and students with coffee, drinks and snacks, they plan to also bring refreshments to their customers by bus, on festivals or other events and schoolyards. The concept was put into practice the first time on the Happiness festival. 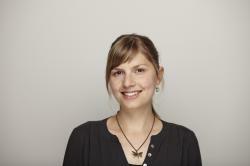 The goal was to promote Karlshochschule, 75% of the visitors should know about Karlshochschule by the end of the festival. Equipped with caffeine, camera and merchandise Dominik Weber, Philipp Csernalabics, Luiza Wasmer, Felicia Heuchert and Lisa Schert went to talk to visitors of the Happiness festival. A website where creative minds and clients looking for the extra “oomph” meet: that is the idea behind the K3 portal – a joint venture of the Kulturbüro (office for culture) and the ministry for economic advancement. Regional companies that made creativity the core of their business gather here, around 270 entries are registered so far – the portal is used quite a bit. But the K3 would like to get the attention of more companies, especially ones that operate outside of the “creativity” area. How do firms find new interns and new employees? With which means and what groups do they target? And: are the existing structures even the right ones? Vincent Rühl, Frederik Williams, Erkin Ibragimov, Felix Fromhage, Emil Mawad and Pascal Stulier set out to answer these questions for Lufthansa. 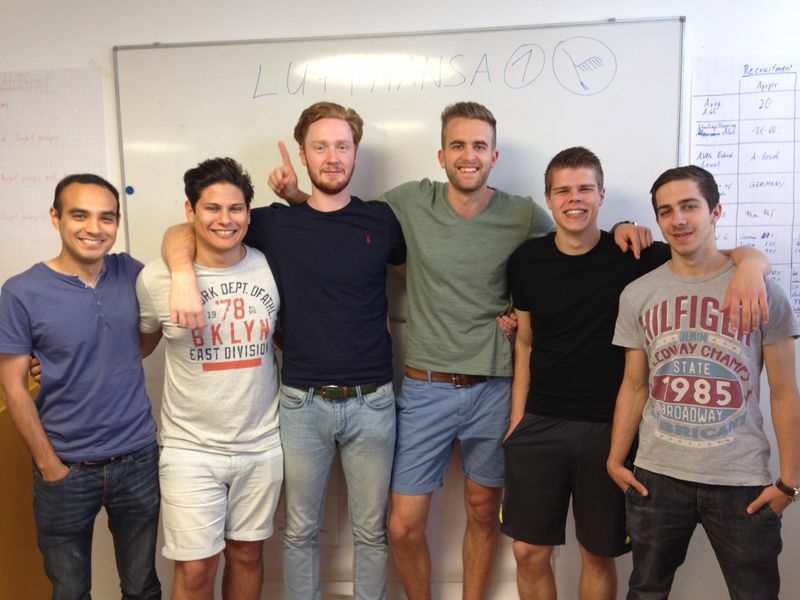 Lufthansa already had a project idea before the Karlshochschule students approached them: a target group optimization analysis for three different jobs at Lufthansa: aviation businessman, part time flight attendant and the ground personnel. Banks concern themselves solely with finances – or is there more to them? Volks- and Raiffeisenbanks want more than that. Adding to the obligatory banking application that every bank has to have nowadays, they would like an application that supplies their customers with regional news, and to bring in new customers. VR Bank therefore hired teNeues Digital Media to work out a concept. 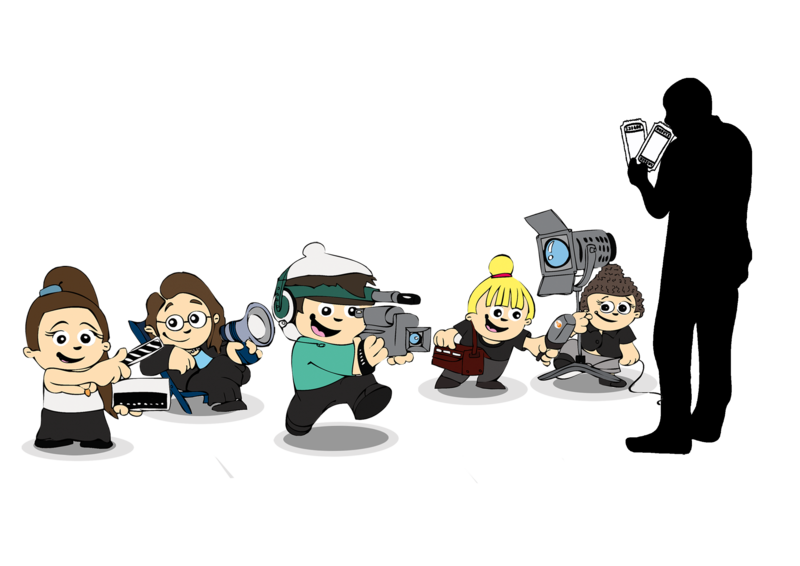 It is exactly this concept that Annika Schleinkofer, Nabila Luscher, Mario Malinconico and Ilija Antunovic worked on as their concept and busied themselves with deciding what features and functions a regional news app should have. Social media are becoming ever more important. Facebook, Google+, Twitter, Instagram are now widely used by all kinds of companies to promote themselves. ZDF, for example, has multiple Facebook pages for different channels, along with multiple web pages for other news. Upon hearing this, Isabella Blatter, Katharina Denisova, Alexa Walbrodt, Judith Weber and Sandro Guilio Stroh instantly thought: “That is way too much!” The team was tasked with developing a new marketing concept for ZDF and its social media appearance and to make a recommendation on what to do for ZDF’s upcoming Google+ appearance.